Dealing with food refusal in toddlers can be unexpected and worrying. 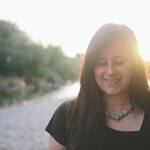 Here’s my top five tips to help break through the food refusal phase. For parents, dealing with the change from baby to toddler can be a difficult period. We are all told to expect the terrible two’s, screaming public tantrums and the dreaded dropping of naps! But one thing we rarely expect is food refusal. 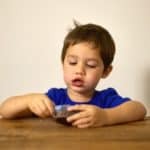 When you have weaned a baby who ate pretty much everything put in front of him or her, it can be really confusing and often quite worrying for parents to be suddenly faced with a toddler who refuses almost everything offered to them. First of all let me reassure you that this is very normal behaviour and you haven’t done anything wrong. It is very common for toddlers to start refusing food they previously loved from as early as 18 months. There are however ways to tackle it and here are my top 5 tips. Most toddlers will start showing signs of some independence from the age of 2. They suddenly want control over the toys they play with, the clothes they wear and of course the food they eat. Offering choices and options helps to give them a little independence. Take them shopping and allow them to choose some of the food that you buy, give them options for mealtimes and get them involved in picking out colourful plates and cutlery. It is important to remember that toddlers’ bodies and brains are still growing rapidly and it is completely normal for their tastebuds to develop and change over this time. Foods that they previously loved as a baby may no longer seem palatable and similarly they may be keen to try foods that just a few weeks ago they did not like. Although this phase may be frustrating it is important to keep persevering and offering your toddler a wide variety of flavours and textures. This is also a great time to introduce some more adventurous herbs and spices. Your fussy toddler may surprise you! If your toddler seems to be struggling to eat three good sized meals a day, try breaking them down into several smaller meals. Large quantities of food can be overwhelming and can often lead a child to refusal to eat completely. Snack plates or plates divided into different compartments are ideal for presenting a few different foods without it appearing overwhelming. Also, try to offer as many energy-dense foods as possible which will help to increase your child’s calorie and nutritional intake. Here are some of my favourite high energy recipes. As toddlers begin to cut down and eventually completely cut out their naps, you will notice that they will become very tired as the day goes on. Sitting them down to a large evening meal at 5pm may no longer be possible. It’s the equivalent to us adults eating a three course meal at 10pm at night! Instead, try to front-load their food intake to earlier in the day when they are less tired and probably more interested in eating. 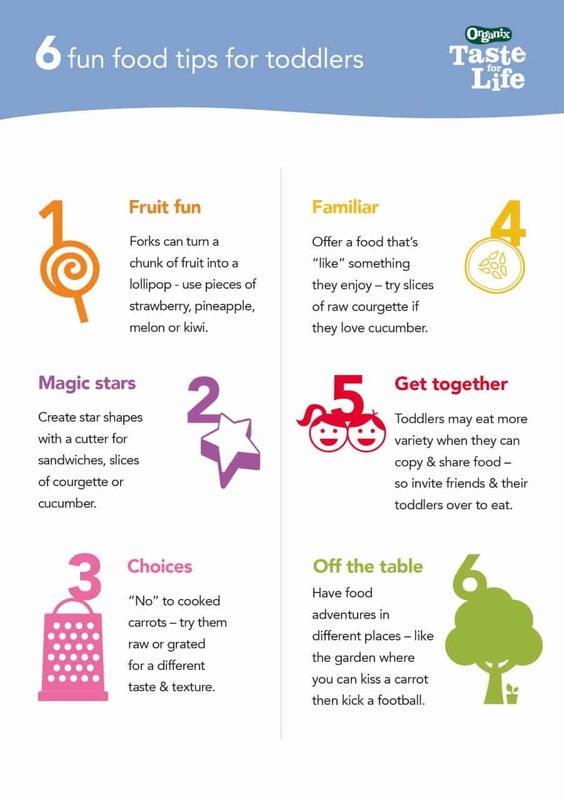 One of the easiest ways to reduce stress around toddler meal times is to introduce an element of fun to their food. 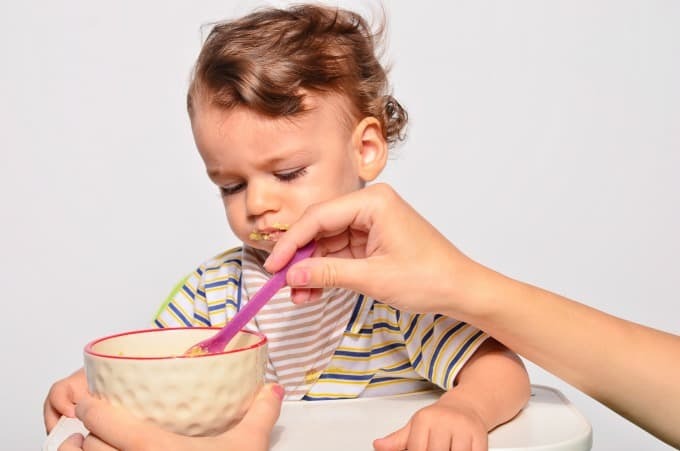 Organix’ children’s food expert Lucy Thomas has some great tips and simple activities to help your toddler have fun exploring foods and learning to enjoy new tastes and textures, even those they may be fussy about!